Many people struggling with their debts and living paycheck to paycheck may have considered bankruptcy but fear they'll lose their home if the file. This leaves them mired in untenable debt with little for an improvement in circumstances. 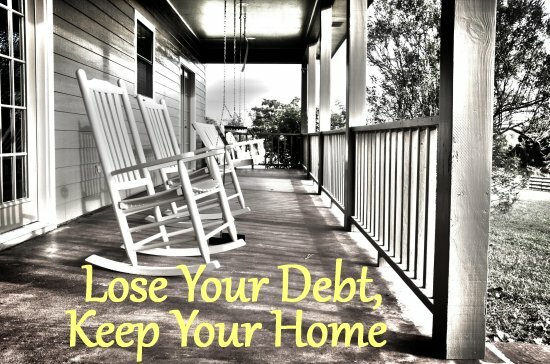 But fear not – in most cases, you can enjoy the benefits of bankruptcy and keep your home. In fact, your finances may be greatly improved by filing bankruptcy. Here's what you need to know about getting debt-free while protecting your home. So long as you're not late on your mortgage payments, either Chapter 7 or Chapter 13 should not pose any concerns with keeping your home under two conditions. You must have no more than $35,000 in equity (or $70,000 if you're planning on filing with your spouse), and you must live in the home as your primary residence. To qualify for a Chapter 7, you have to pass a Means Test which demonstrates that you do not have the financial means to pay your bills. You can pass the Means Test even if you are earning a good wage if your debts are insurmountable compared to your earnings. Don't assume you won't be able to access Chapter 7 debt protection simply because you're a high earner. That's a matter for discussion with a reputable, experienced bankruptcy attorney. Anyone can obtain a Chapter 13 bankruptcy, but you should weigh the pros and cons of each chapter if you qualify for both. You want the most complete fresh start possible so that you defeat your debt once and for all and get your finances back on track. For those that have fallen a few payments behind, a Chapter 7 may still be tenable so long as you work with your lender. Your lender may be willing to restructure your debt and incorporate your past due balance back into the loan or give you more time to pay it back rather than deal with a possible foreclosure. They know after a Chapter 7, you'll have more cash available to pay your debt, so it's a possibility, and it never hurts to ask – just do so before you file. If you are significantly behind on your mortgage but also have significant equity, a Chapter 13 will likely be the better route to protect your home. By filing a Chapter 13, you will get up to five years to pay back your arrears, although you'll have to do this on top of paying your current mortgage payment. The good news is you'll get a break on unsecured debt like credit card and medical bills which can free up money to deal with that back balance. For instance, if you've missed a year's worth of payments and owe $18,000 to your lender, that's $300 a month on a five- year plan. If you can eliminate credit card payments, it's feasible. Sometimes, even with equity, you may not be able to keep your home if your income will no longer support the mortgage payments. Filing Chapter 13 will forestall foreclosure and will give you time to explore options such as refinancing or pursuing a short sale to try and pull some of the equity out of the property. To find out more about how bankruptcy can help you eliminate debts you can't afford to pay without costing you your home, contact the law offices of John T Orcutt today. We offer a free consultation at any of our North Carolina locations in Raleigh, Greensboro, Fayetteville, Wilson, Garner or Durham. Call 1-888-234-4181 and ask about our zero down bankruptcy special.